Neetu A. John is a Social and Health Scientist at ICRW. In this role, she manages and provides technical assistance to a variety of research projects, designs and executes research studies and impact evaluations, and conducts data analysis. 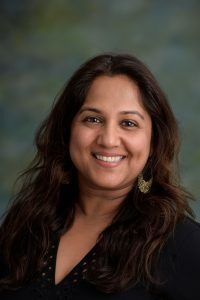 Neetu is a Population and Health Scientist with eight years of experience in international and domestic public health research and programs, with a focus on sexual and reproductive health and its intersection with gender, socioeconomic disparities and broader developmental processes. Neetu is currently conducting a randomized control trial to test the impact of a multi-sectoral intervention to improve women’s household decision-making ability and contraceptive use by involving both partners of a couple in Ibadan, Nigeria. She is the quantitative research lead of a multi-country study that is trying to understand the linkages between violence against women and women’s economic empowerment. She is also providing technical assistance to a study trying to estimate the economic impacts of child marriage by collecting nationally representative survey data in sub-Saharan African countries. At ICRW, she has worked with multi-lateral institutions, foundations, universities and international and local NGOS, including the World Bank, UNICEF, USAID, the Gates Foundation, University of Ibadan and Population Services International. Prior to joining ICRW, Neetu was a post-doctoral fellow at the Bill and Melinda Gates Institute for Population and Reproductive Health, Johns Hopkins Bloomberg School of Public Health, where she conducted research on couples and their fertility and contraceptive behaviors, as well as examined the pathways by which contraceptive use can empower women. During this period, she also worked at the Johns Hopkins Center for Communication Programs, where she conducted formative research and evaluated the impact of mass communication programs. Prior to her doctoral studies, she worked as research associate at the Harvard School of Public Health and was an evaluation consultant for the Cambridge Health Alliance. Previously, she worked in India for more than years in a grassroots NGO, conducting intervention research to identity best practices for promoting girl’s empowerment and reproductive and sexual health. Education: Neetu holds a Ph.D in Population, Family and Reproductive Health from the Johns Hopkins Bloomberg School of Public Health, a MS in Global Health and Population from the Harvard School of Public Health, a MA in Sociology from the University of Kerala, and a BA (hons) from the University of Delhi.